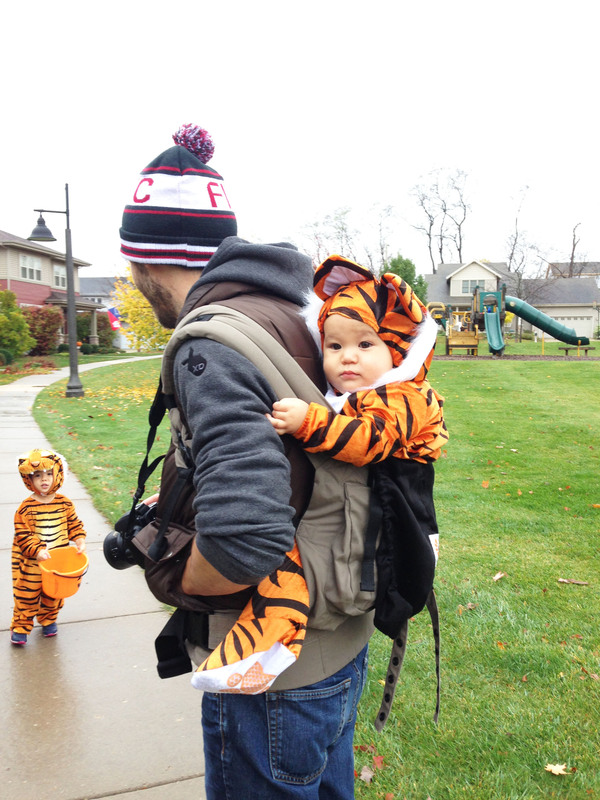 Halloween is a pretty big deal around here. 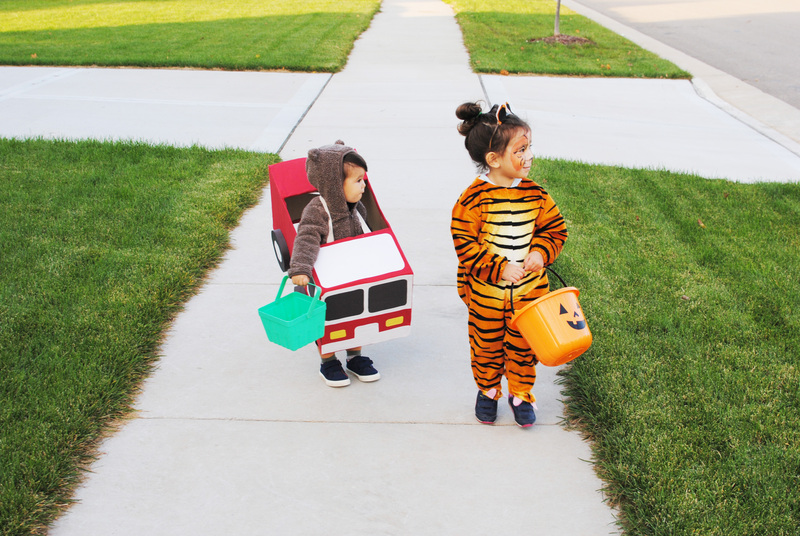 The fact that my kids get to dress up in a costume and people will give them CANDY…well that’s a good good day in their opinion. 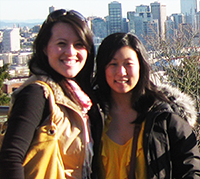 And frankly seeing how happy they are, it makes our day pretty great too. 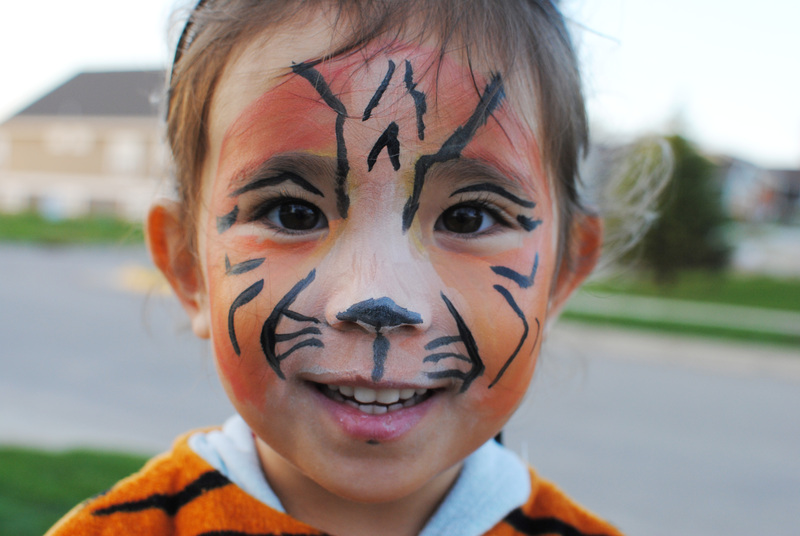 This year Nola wanted to be a tiger again. At first we were encouraging and suggesting that she be something different. But she held strong and then we realized if this is what she wants why are we trying to change her mind? 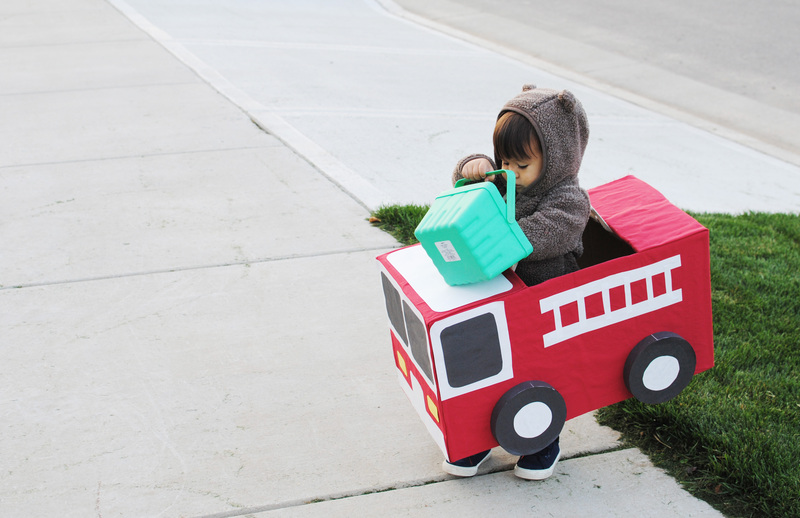 This is where I got lazy though and since Nola was going to be the same thing, my thinking was, ‘well then Jonas can wear the same costume too.’ But the day of Halloween I had mom guilt and frantically made him a firetruck costume because of his love of all things trucks. That was a mistake on my end because it made me really stressed that day and the anxiety didn’t subside until after the kids were sleeping?? I will be first to admit I have issues. And ultimately resulted in me not enjoying the night as much as I could have 🙁 . Jonas liked the truck, but he’s little, I’m sure he would have been just as excited being a tiger and mobility would have been 100x easier as well. Steps in that costume was HARD. We really love our new neighborhood and feeling thankful these days, but that night we missed our old digs a bit. 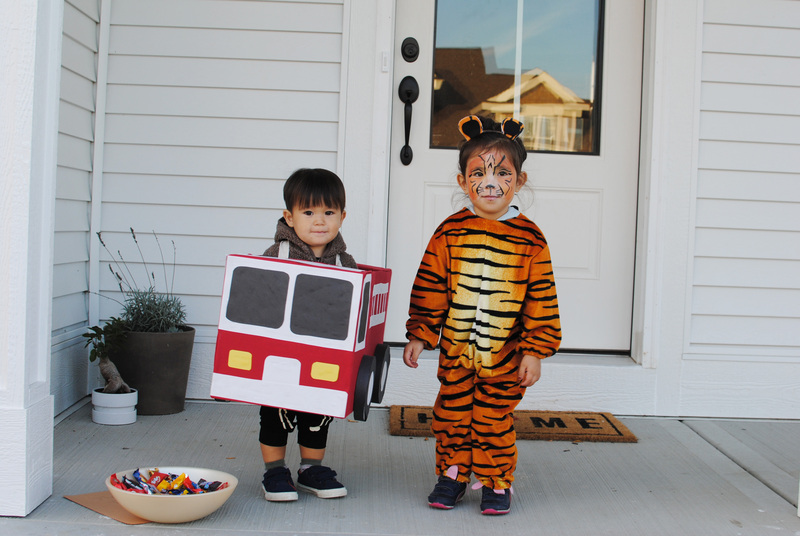 Our old neighborhood is a more established neighborhood and more dense so it just seemed easier to go trick or treating and was more action packed maybe? We may got 4 kids who came to our house after we got back and frankly that night kind of seemed anti-climatic??? But at the end of the day, Nola told us she had a super fun night, so regardless on how we felt I’m really glad she wasn’t feeling the same feels. Kids are really great like that. 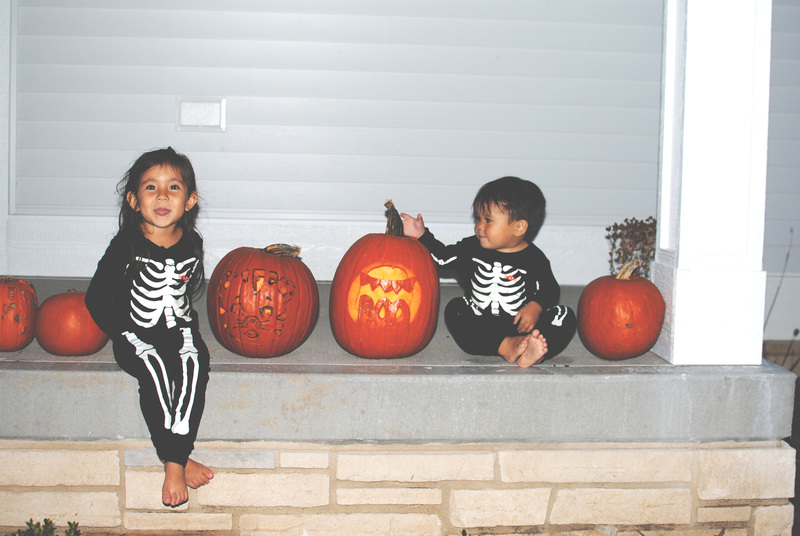 Here’s some photos of the night if you care to see: this was the past weekend when we carved our pumpkins. 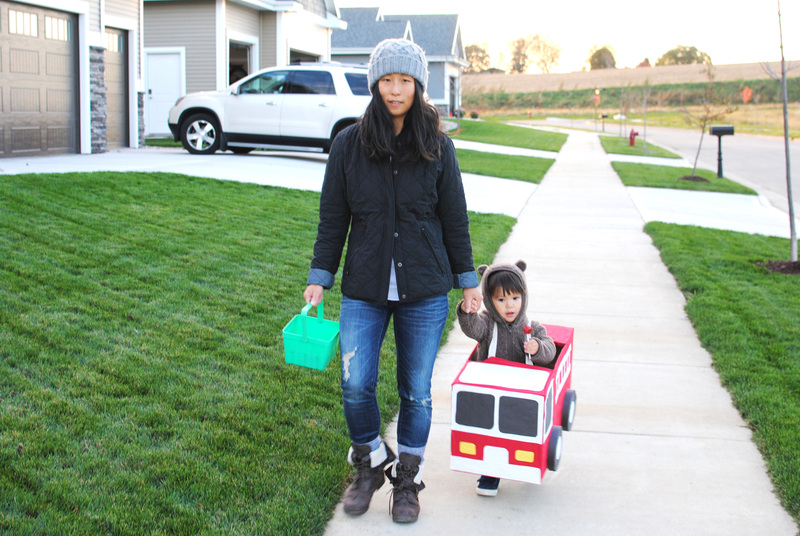 we feel pretty spoiled with all this amazing fall weather that is sticking around. we were actually able to carve our pumpkins outside this year!! and can i say i live for matching pajamas!!! 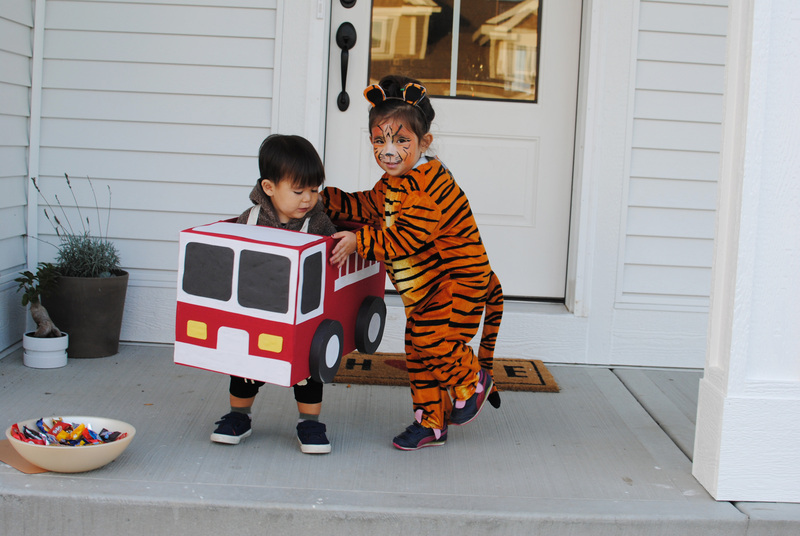 my little firetruck and tiger the,’ok get this over with mom’ photo his hat stayed on as long as it took to take this photo checking out their candy and the only night of the year where jonas will have candy for dinner, eeck!! 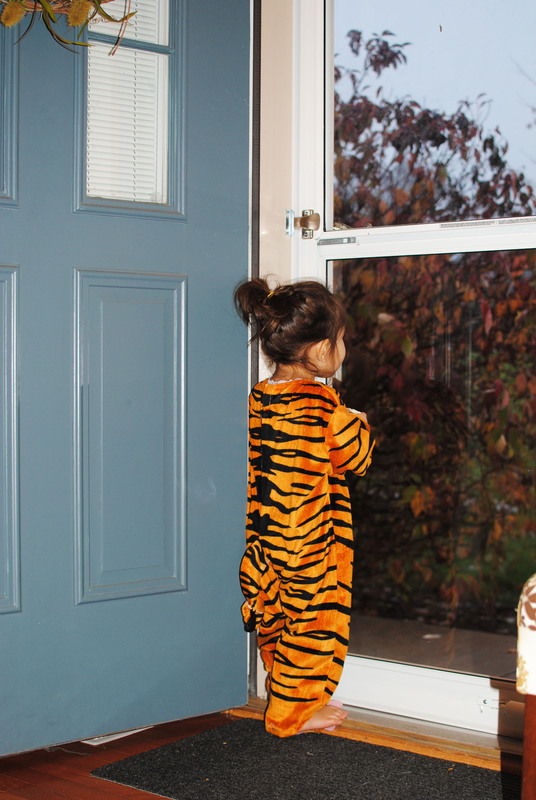 I don’t know about you guys, but for us, our 3 year old seemed to change her mind on what she wanted to be for Halloween daily. 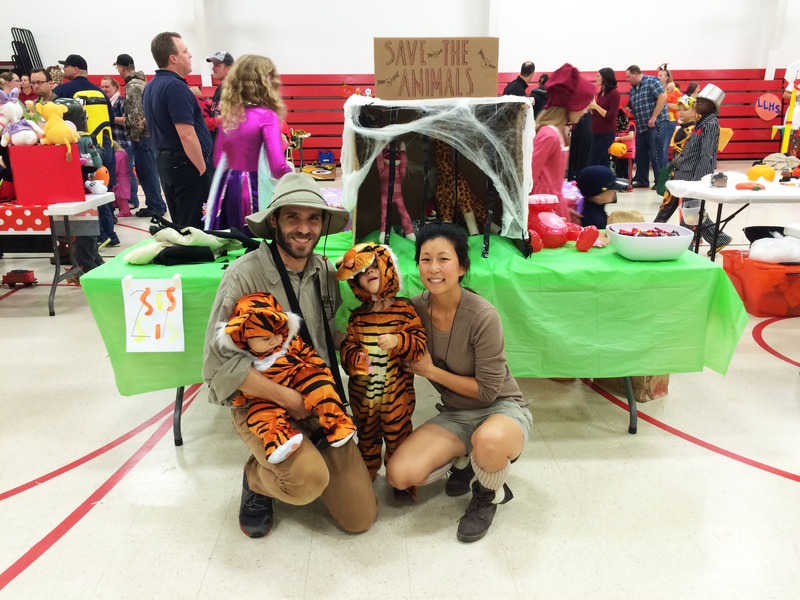 It honestly was starting to stress me out a little because regardless of if I was going to make or buy the costumes, it takes time, especially when we try to do a family theme…that all stems from our daughter’s decision. Clearly that girl has too much power in our house. We would love to decide what her costume would be, but if she doesn’t like it she won’t wear it, hello cute dresses in the closet she won’t put on. One day we decided to go to Halloween Express for some inspiration and there Nola had it narrowed down to super woman or a tiger. We were like, “this one!?! or this one?!? this one?! or this one?!!! Nola just pick one!!! !” In case you are wondering, yes, this how it is every morning getting dressed too, bless that sweet girl’s heart and ours as well. 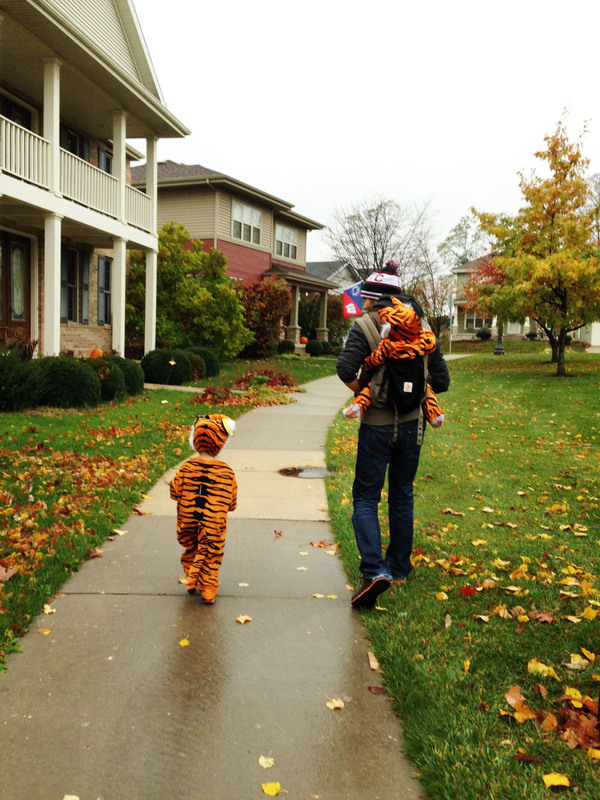 After much deliberation we are happy to report she went with the tiger costume. 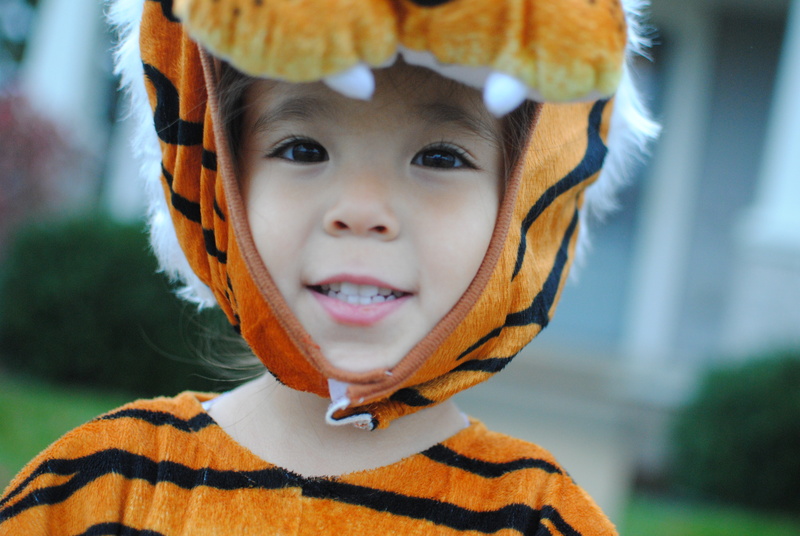 This is definitely is the year of the tiger for Nola since she also had a tiger birthday party earlier this year. 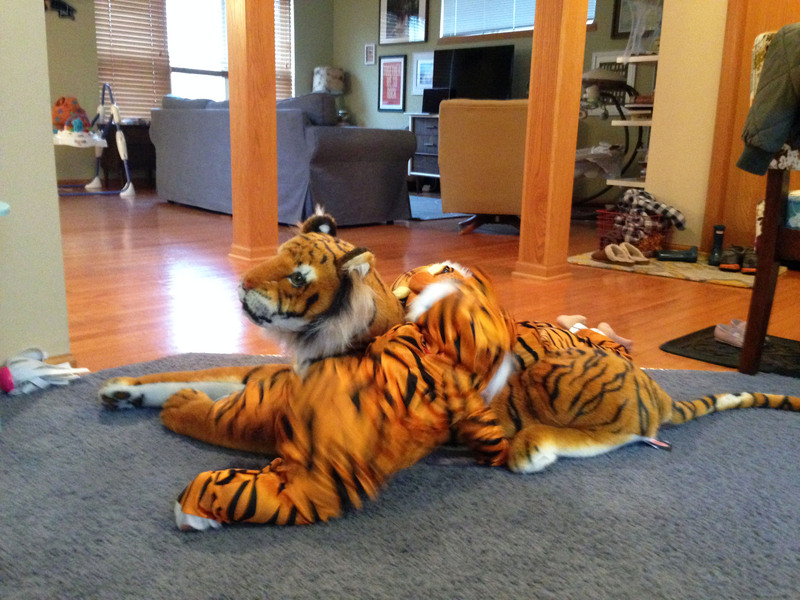 I saw a baby tiger costume that I grabbed for Jonas and done and done! Though my crafting loving heart was a little sad because I wouldn’t be making them, I was also relieved and glad I wouldn’t have to be worrying about it anymore! 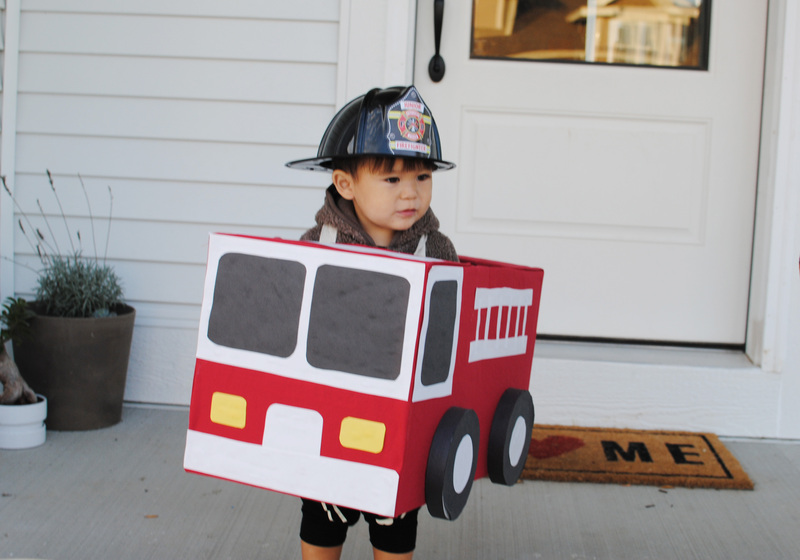 With Halloween parties at school and events in the community this costume is in high demand much earlier than the 31st! And I have to say Nola wore that costume around the house and as pajamas for two weeks straight, yes you heard that right we choose our battles around here, that costume was worth every penny! This was at Nola’s school. We decorated a table and handed out some candy. As you can see we also caught some of the cutest tigers. 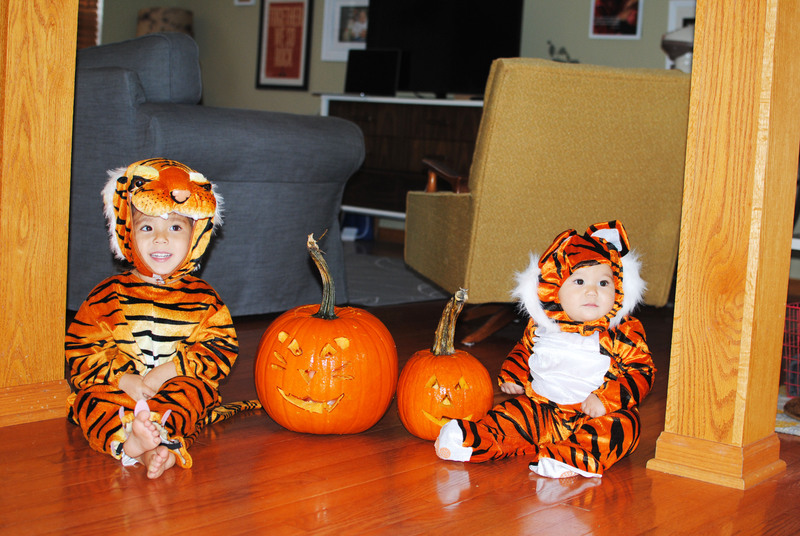 Love my little tigers so much! And how it really is like trying to take a photo with a 3 year old and 9 month baby. Not easy, we usually are dancing, yelling for them to look our way. 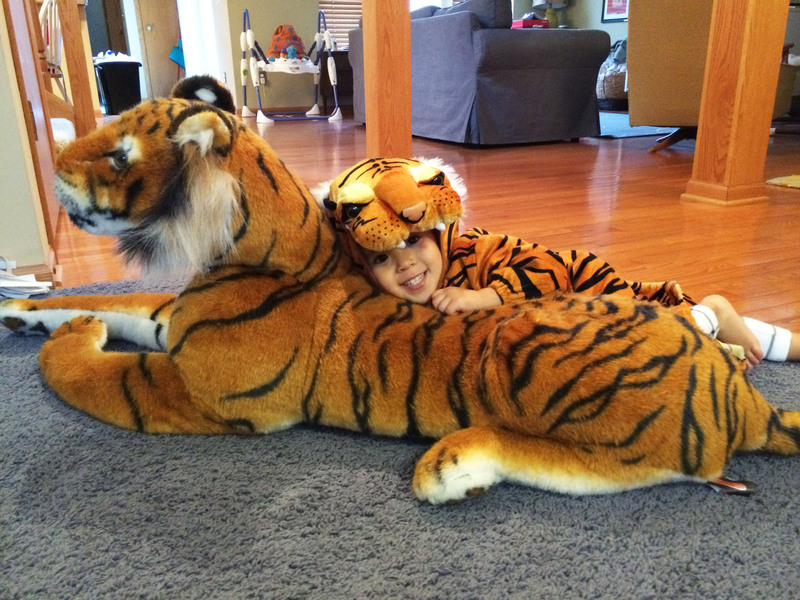 Nola posing with her pet tiger Simba. 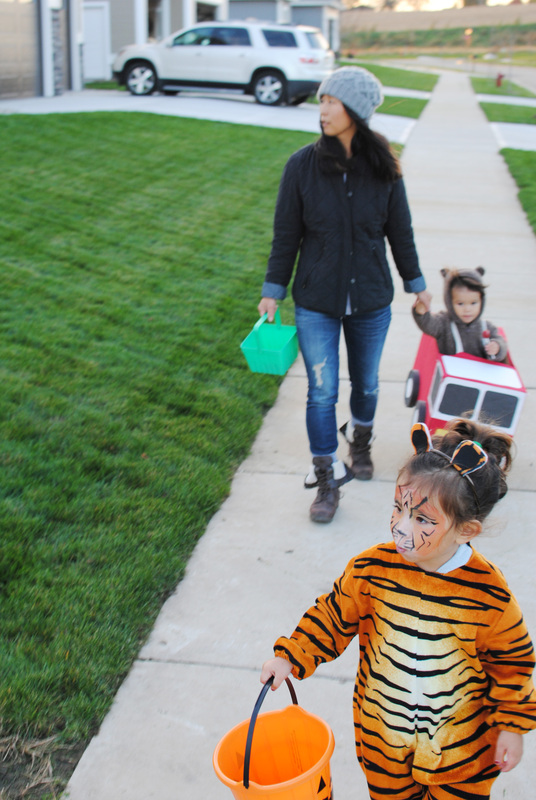 CJ and I had such a fun day and I know I’ve said it before, but I never was the biggest Halloween fan, but since having kids it is sooo much fun. 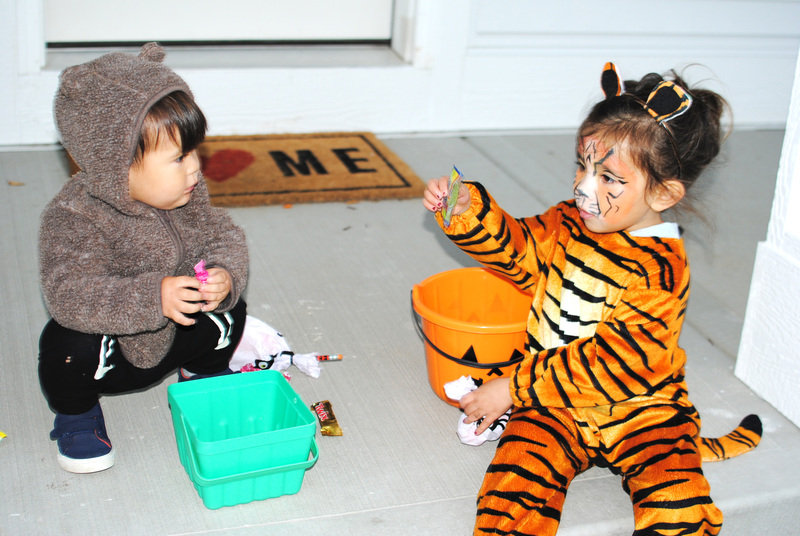 We asked Nola what was her favorite part of the day and she said handing out candy. 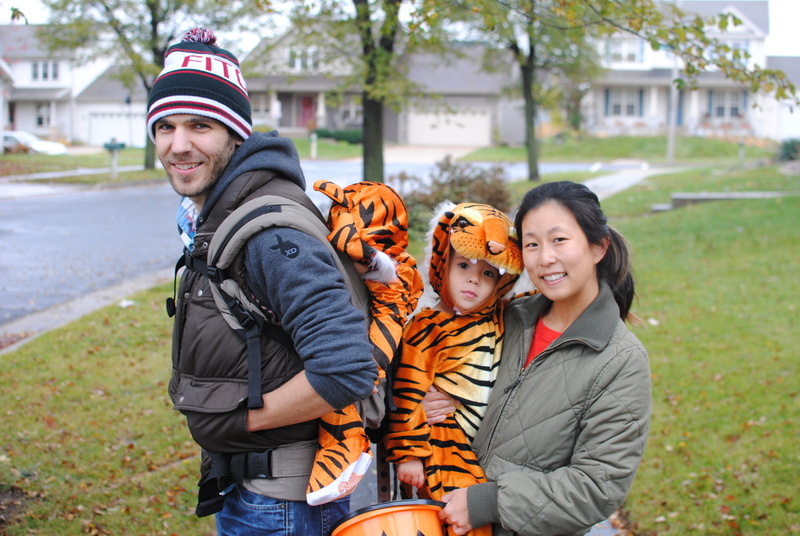 Here’s 2014 halloween and 2013 halloween in case you want to look back!